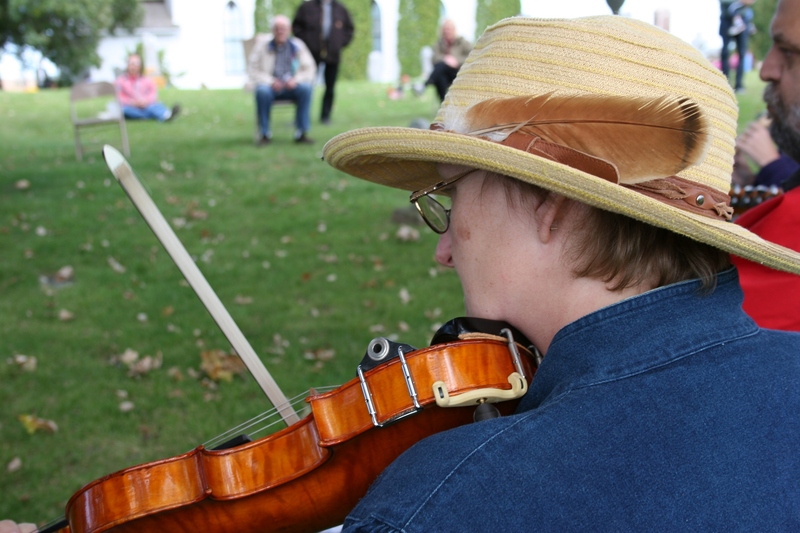 PRAIRIE GRASSES and wild flowers dipped in the wind, swaying to the folksy music of Hütenänny. And I thought, as l listened, of the movie, Sweet Land, filmed in southwestern Minnesota and based on Minnesota writer Will Weaver’s book. But I wasn’t in the southwestern part of the state. Rather, I stood atop a prairie hillside in southeastern Minnesota, in the backyard of the Valley Grove churches, delighting in the rhythm of the Nordic music so fitting for this place settled by Norwegian immigrants. 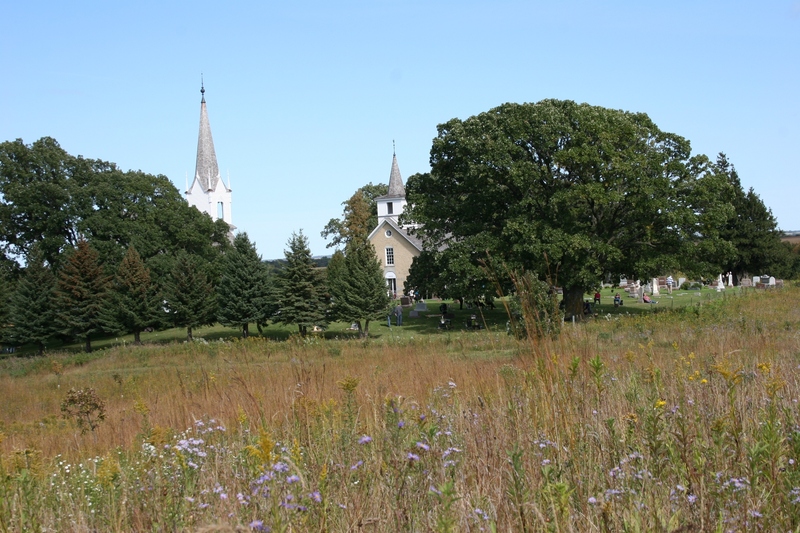 Valley Grove visitors can walk through a restored prairie, where wildflowers grow. 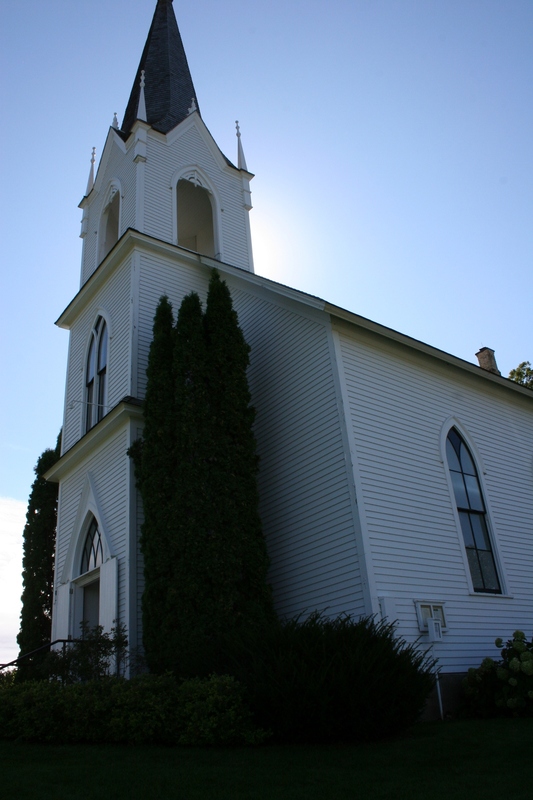 On this Sunday afternoon in September, folks gathered outside and inside the 1862 stone church and the neighboring 1894 white clapboard church, in the graveyard, underneath the majestic sprawling oak where the musicians played, and on the prairie, close to the land. 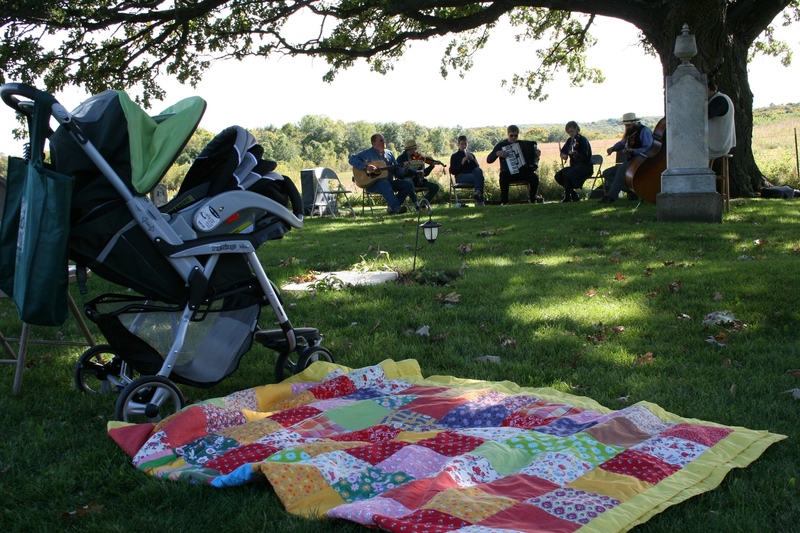 Visitors spread quilts upon the grass and enjoyed the music of Hutenanny. 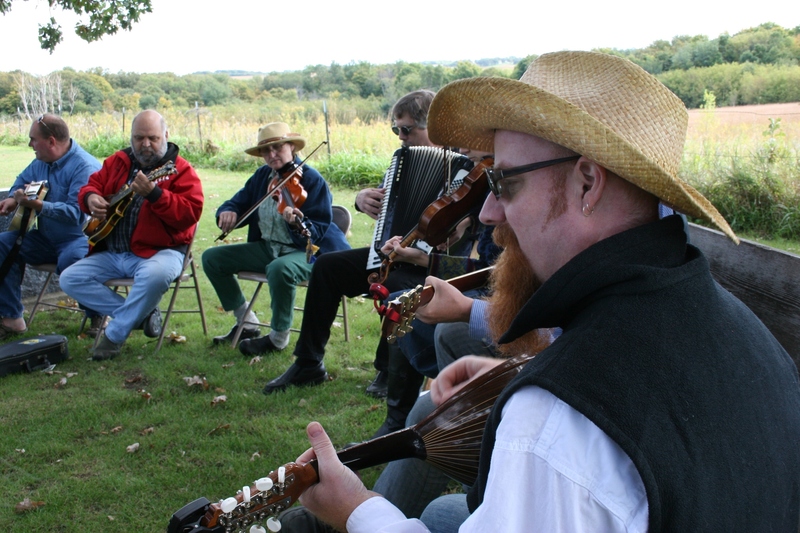 A group of mostly Northfield area musicians performed as Hutenanny at the Valley Grove Country Social. On Sunday evenings they perform as the Northern Roots Session at the Contented Cow in Northfield. A member of Hutenanny dresses country for the folksy Nordic music performed at Sunday's Social. In the churchyard, next to the simple wooden church, youngsters swish-swished goat milk into a pail, admired colorful caged chickens and crafted ropes to twirl high above their heads. 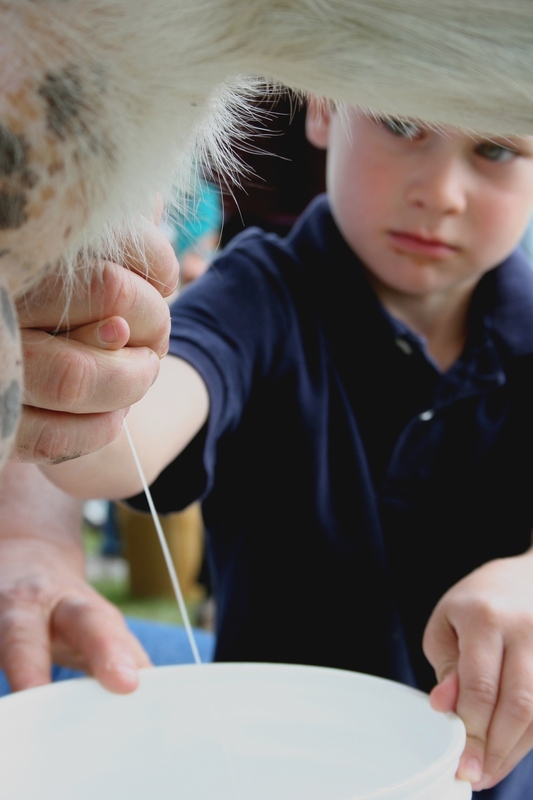 Kathy Zeman of next-door Simple Harvest Organic Farm gave a young boy lessons in milking a goat. 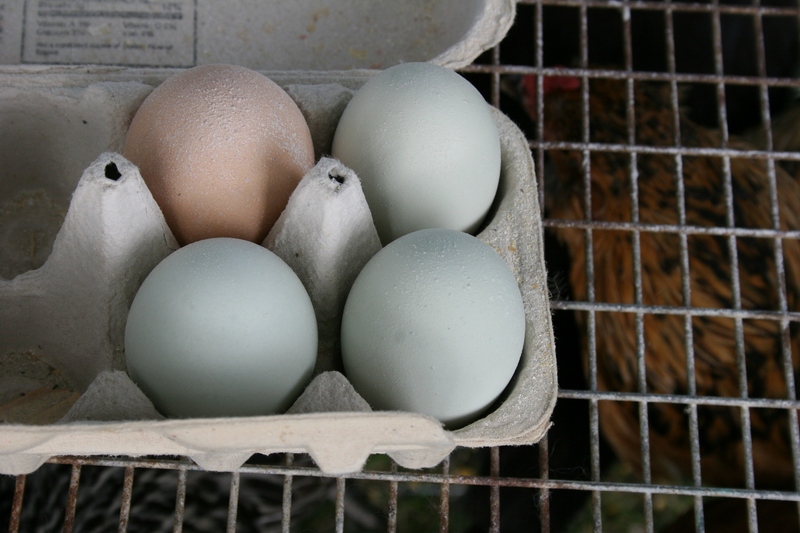 Fresh eggs and caged chickens attracted lots of interest. Along the fenceline that guards the duo hillside churches near Nerstrand, families waited to board a horse-drawn wagon that would take them along a path past the churchyard, up and down the prairie hill, where, if they looked, the land stretched down to farms and to woods tipped in the first rustic colors of autumn. 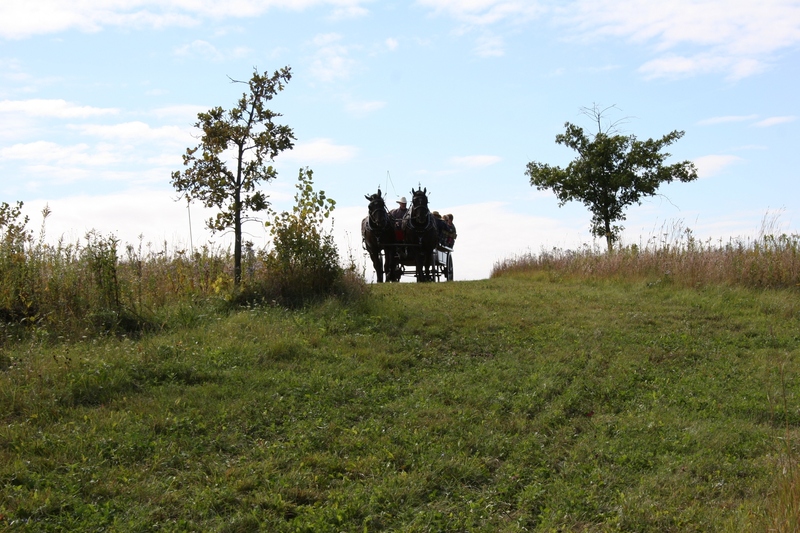 A horse-drawn wagon carried visitors on a path through the 50-acre prairie. 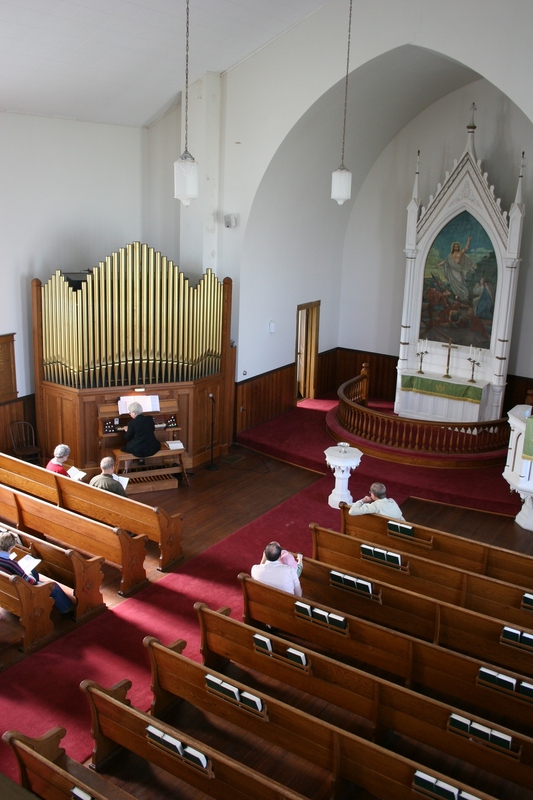 Organists performed several concerts inside the 1894 Valley Grove Church on a pipe organ built in St. Louis and installed in 1911. Art and bluebirds and old photos. Sunshine, mixed with clouds. Memories shared, new memories made. Photos snapped. Gravesites visited. Hugs exchanged. All comprised the Valley Grove Country Social, a soul-satisfying way to spend a Sunday afternoon in September in Minnesota. An archway at the entry to the Valley Grove churchyard. 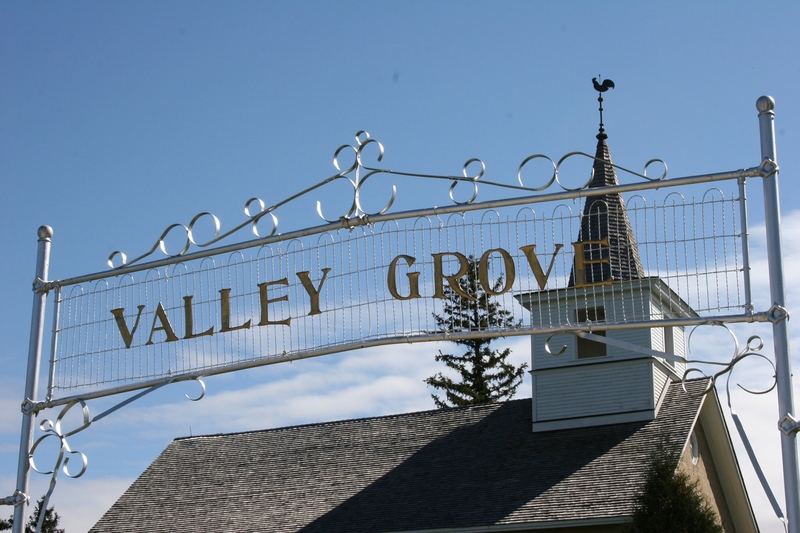 The Valley Grove churches are on the National Register of Historic Sites. 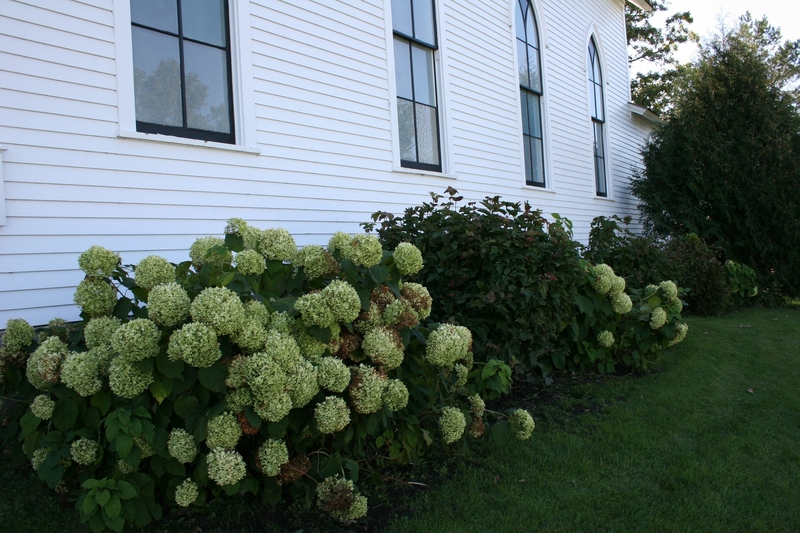 Old-fashioned hydrangea bushes nestle against the clapboard church. 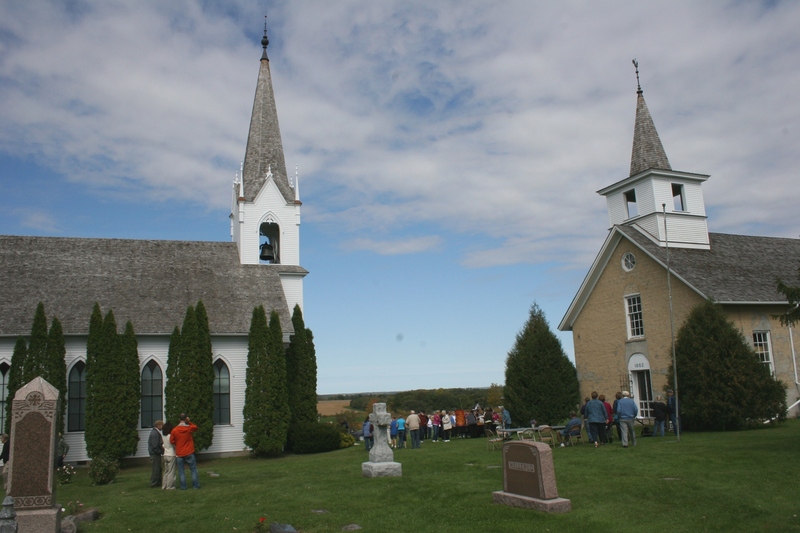 The spire of the 1894 church can be seen for miles. 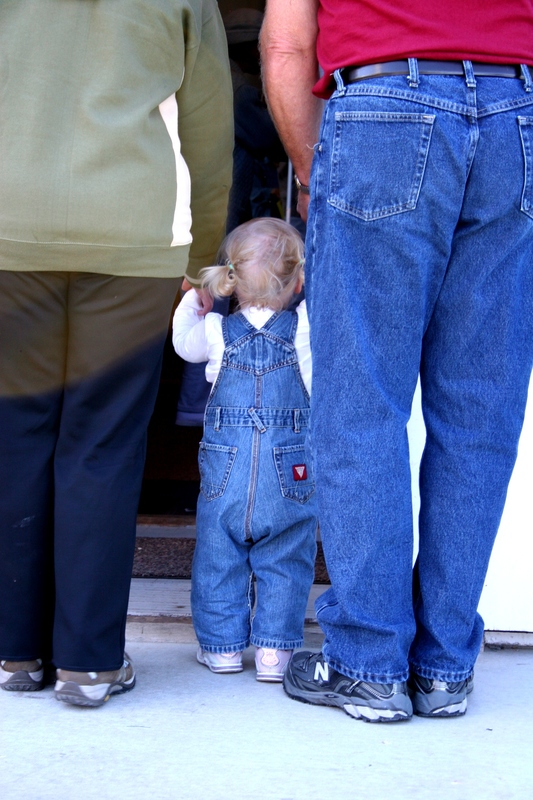 The Valley Grove Preservation Society is working to preserve the buildings, land and history for future generations. 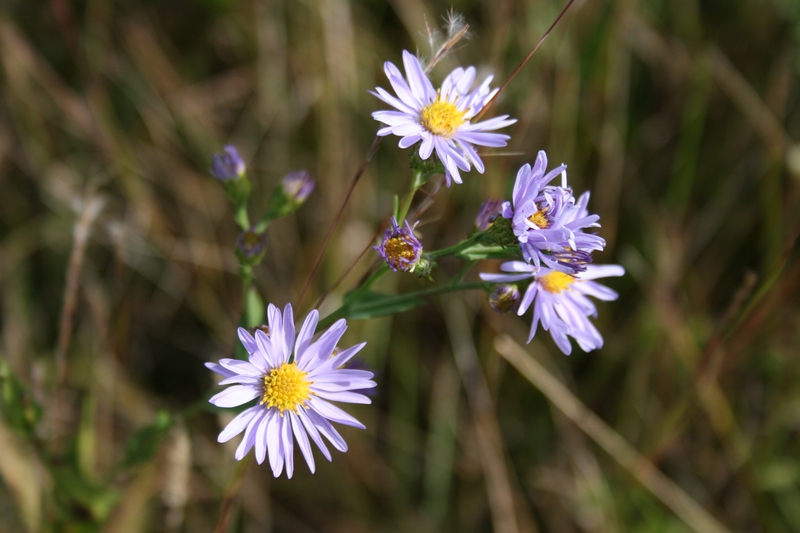 ALSO CHECK OUT my previous Valley Grove posts published Oct. 9, 19 and 31, 2009, and Nov. 2, 2009, on Minnesota Prairie Roots.